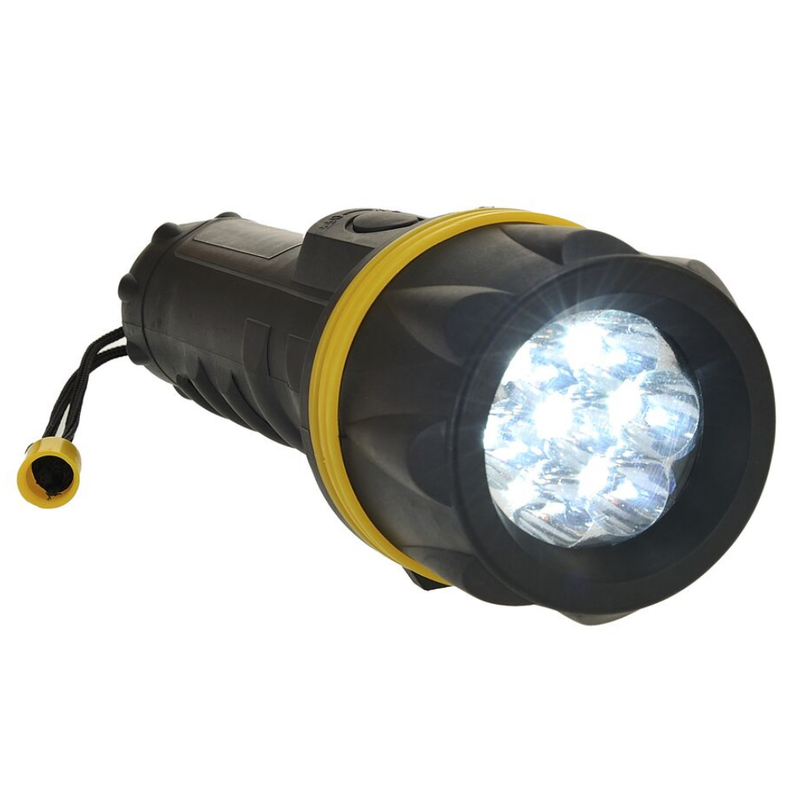 he design of this 7 L.E.D light gives great practicality and durability. it is impact and water resistant. and 2 D batteries are included.